Child -poverty is hard to define, measure or address. This has not been helped by the ‘siloed’ focus of many discussions, which has resulted in less attention to the relationship between influencing factors (and which should be factored into interventions), while the ‘one size fits all’ approach has highlighted quite compellingly the lack of understanding of the differential impact of policies on different populations – such as Pacific families. As is well reported, the family and church are the main institutions in Pacific communities: Pacific peoples have long argued that the spirit and resilience of these family based systems has shielded them from the worst effects of development including the economic highs and lows of the migration/ diaspora experience. The role, place and strengths of the family systems have not featured well in child poverty discussions. In fact, Pacific resource- sharing behaviours have likely served to mask the true nature and extent of hardship. The benefits and advantages of sharing basic needs or material resources (e.g. food, housing, and finances) are quite easily seen. Not so well seen, or understood, is the tremendous wealth of cultural capital embedded in the Pacific communal systems which, simply put, give meaning to life. These include the learning and reinforcement of cultural values beliefs and aspirations and, the affirmation of identity and belonging. Not only that, the family systems provide the avenue for social cohesion and for Pacific people to connect with each other and with the wider New Zealand and global communities (Fairbairn-Dunlop & Makisi 2003. Macpherson & Macpherson 2009). The commonly used concept of social capital cannot do justice to the strength and warmth of the mix of spiritual, social and cultural knowledge which is grounded in the family systems. For Pacific peoples, a weakening of this cultural wealth sets a pathway to ‘poverty of spirit’ not only for today but for the future. Pacific people came to this country with high expectations both for themselves and for their children. The adult members of these Pacific families played a significant role in the New Zealand economy during the 1960s and 70s and they continue to make a contribution to many aspects of New Zealand life today: from sport to fashion; from the creative industries to engagement in the tourism and service sectors; from education to health and the social services. But whenever population comparisons are made, Pacific populations stand out because of their age profiles, their relatively low incomes and their financial commitments. Pacific populations comprise a greater proportion of the younger age groups in New Zealand, with nearly half of Pacific people being under 20 years of age. In Auckland nearly one quarter of children under the age of 10 live in Pacific households and 40 per cent of those are living in Manukau. Not only do Pacific people have significantly lower average incomes than the rest of the New Zealand population but they also have greater financial commitments because of the youthful age profile of Pacific communities and because of the remittances these famiies make to their extended families in the Islands. Compared with other population groups Pacific families have virtually no asset base or capital resources. It is not difficult to understand therefore why Pacific families (and especially their children) are affected by the increasing costs of health services, by the cost of housing including the costs of rental accommodation, by the lack of job security and by the low income economy in which most Pacific families are located. 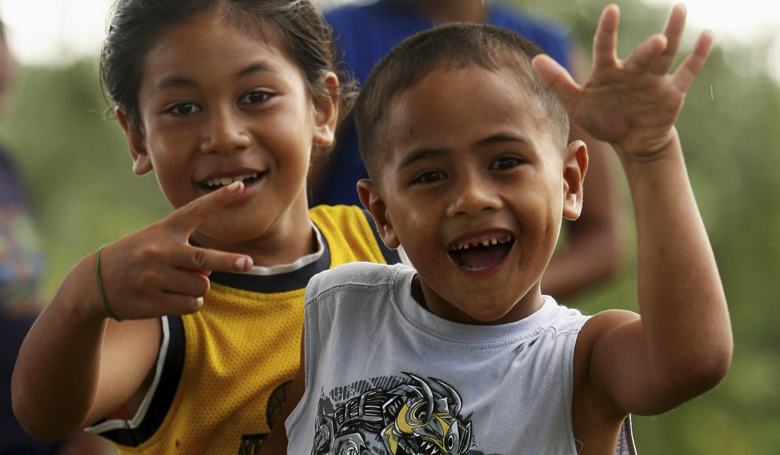 A wide range of studies have highlighted the issues confronted by Pacific children experiencing financial hardship and poverty. One such study of Student mobility in Auckland Schools (Child Poverty Action Group, 2014) referred to the ‘revolving door’ and the way in which poverty increased transience among Maori and Pacific children with significant implications for education. Teachers in this study commented on the challenges they faced in ‘reaching’ transient children, an issue highlighted by the Ministry of Education in which they noted that students need stability in their schooling in order to experience continuity, belonging and support. These factors are considered essential if children are to stay interested and engaged in learning (MOE 2013). The Revolving Door Report went even further than highlighting the obstacles to learning for individual children. It explored the social costs of transience and highlighted the relationship between low levels of attachment between residents and reduced social capital and social cohesion within the neighbourhood. For Pacific peoples the effects of dislocation from wider family and community systems will run even deeper than this. Given the relationship between identity, security, education and social and economic participation, any action which weakens the resilience of the family based systems impacts every aspect of life. In sum, transience, for whatever reason, presents a double whammy for Pacific children because of the potential to weaken the family and the community’s ‘cultural capital’. And, a weakening of the Pacific family systems sets in motion a pathway to ‘poverty of spirit’. how will these policies impact on Pacific families and especially their children? what are the downstream effects of having children carry the major burden of poverty today? how have Pacific cultural strengths and constraints been built into our public policy discussions? At the present time Pacific families and communities in New Zealand are carrying a major burden in addressing and alleviating the impact of child poverty among Pacific children. They have been able to do this largely because of the spirit and resilience of Pacific families and the cultural capital embedded in their communal systems. It is difficult to know how long this cultural capital can continue to mask child poverty but without a serious reponse from government it is reasonable to conclude that we are danger of leaving the next generation of Pacific families to carry an unreasonably heavy burden. Tagaloatele Peggy Fairbairn-Dunlop is the foundation Professor of Pacific Studies and Director of the Va’atele Pacific Research Centre at the Auckland University of Technology. Professor Fairbairn-Dunlop has conducted research on development for over 30 years drawing on her work in all Pacific countries and for most donor agencies. The focus of her research has been on the living realities of Pacific people including issues of cultural identity, family livelihood and security and gender based violence. 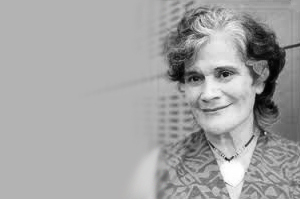 As Sustainable Development Adviser to the United Nations Development Programme (UNDP) in the 1990s, Professor Fairbairn-Dunlop worked with national planning offices to identify poverty indicators among family and semi-subsistence communities. She is Sa Petaia (Te’o) and Sa Atoa.